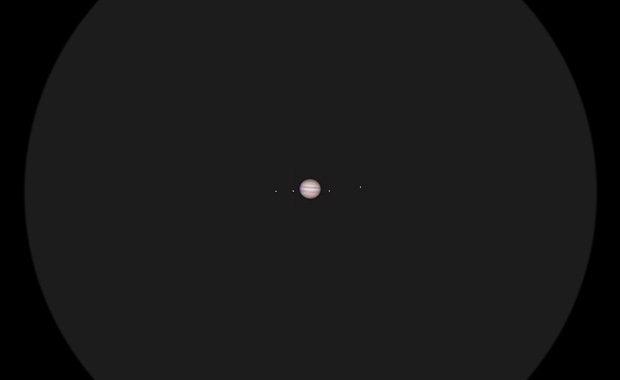 What is the difference between refracting and reflecting telescopes? Aside from inspecting the surface of the Moon, we always have to observe celestial bodies to manage to glean delicate information as to how the Universe works in terms of physics. And, telescopes have enhanced our capability to observe celestial bodies and understand the mechanics and patterns of celestial bodies since the very beginning of their invention. Telescopes increase celestial objects’ apparent size and luminosity by scanning light spectrum. In that regard, it applies to the entire electromagnetic spectrum, from radio waves to gamma rays, including of course the visual range, that covers visible light and radiation in the infrared and ultraviolet(1). In different ways, refracting and reflecting telescopes are basically invented to enhance the observation of celestial objects. In other words, the general principles by which telescopes work are just about the same in all cases, but there are great practical differences in design(2). 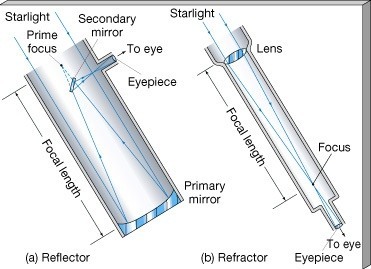 According to the notion of reflection, the terms refracting and reflecting simply refer to the composition of a telescope’s optics. And, it is very easy to comprehend. 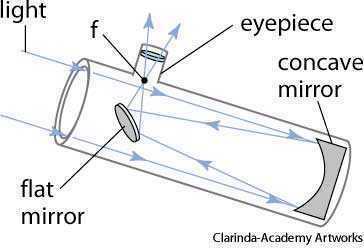 If lenses are used, the instrument is a refracting telescope; if mirrors are used, it is a reflecting telescope(1). You can find the descriptions of refracting and reflecting telescopes down below, taken from Popular Science. A refracting telescope consists of a long tube. At one end of the tube is a large convex(outward-bulging) lens. This lens is called objective. It is the part of the telescope that gathers light from a celestial object. The lens bends the light ray, and this bending is called refraction(3). Reflecting telescopes have a more complex design. In a reflecting telescope, a glass mirror with a curved surface shaped like the headlamp of an automobile is used as the objective. The mirror gathers and focuses incoming light rays to a point called the prime focus(3). (1) Bely, Pierre-Yves, Christian, Carol, and Roy, Jean-René. 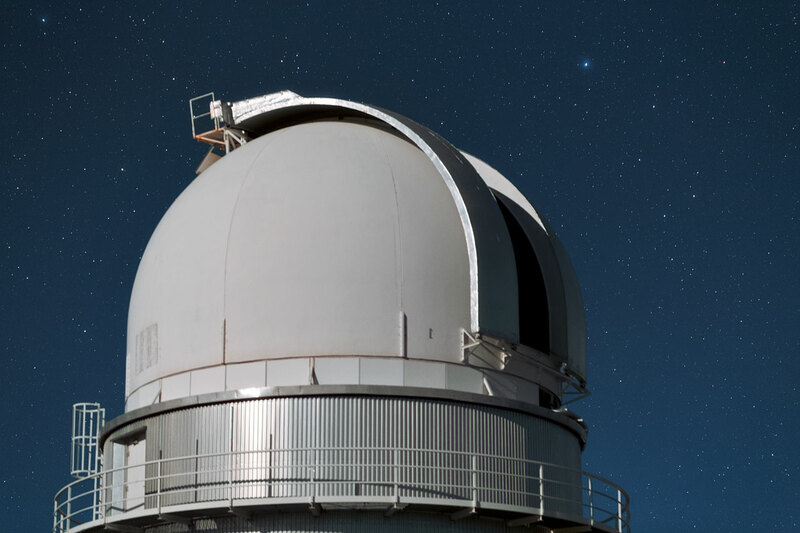 "How do refracting and reflecting telescopes differ?." A Question and Answer Guide to Astronomy. Cambridge: Cambridge University Press, 2010. 209. Print.